The Sikh Gurus are the messengers of the Akal. They are universal men who free our minds from bigotry and superstitions, and emphasize the simplicity of the religion. Sikhi was established by Ten Gurus, over the period from 1469 to 1708 – that is over a period of 239 years. The Gurus taught the people to live spiritually fulfilling lives with dignity, freedom and honour. 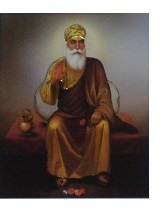 The founder of the Sikh religion was Guru Nanak. He was born at Talvandi ( Nankana Sahib in Pakistan). He regarded Hindus and Muslims as equals and brother to all those who believed in God and truth. Wherever he went, Guru Nanak spoke out against empty rituals, pilgrimages, sacrifice of widows, and of all the other tenets that were to define his teachings. 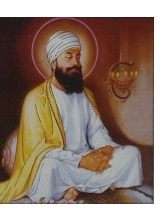 Sri Guru Angad Sahib Ji was born in 1504. He invented Gurmukhi (written form of Punjabi) script and made it known to all Sikhs. The scripture of the Guru Granth Sahib Ji is the basis of the Punjabi language. He started the tradition of Mall Akhara, where physical as well as spiritual exercises were held. He also wrote 63 Saloks (stanzas), these were included in Guru Granth Sahib. 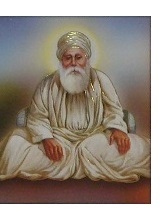 He popularized ‘Guru ka Langar’ started by Guru Nanak Sahib earlier. Sri Guru Amar Das Sahib Ji was born in 1479.He faught against caste restrictions, caste prejudices and untouchability. He strengthened the tradition of Guru Ka Langar and made his disciples, whether rich or poor, whether high born or low born have their meals together sitting in one place. He also abolished the custom of Sati. The custom of Paradah (Purda), was also done away with. Guru Amar Das Sahib Ji deputed Bhai Gurdas to Agra to spread the gospel of Sikhism. Born in 1563 Guru Arjan Sahib ji was the third son of Guru Ram Das Sahib Ji. He compiled the Adi Granth, and wrote the Sukhmani Sahib. Guru Ji included hymns of Muslim saints as well those of low-caste pariah saints. Guru Arjan Sahib completed construction of Golden Temple in Amritsar. 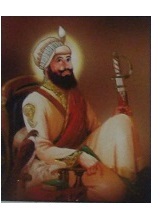 Guru Ji became the first martyr in Sikh history. 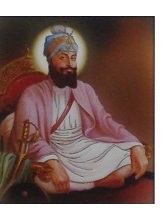 Sri Guru Hargobind Sahib Ji was born in 1595. He was known as a “soldier saint”, Guru Hargobind Sahib Ji owns the credit of establishing principles of Miri-Piri. Guru Ji was first of the Gurus to take up arms to defend the faith and to protect the weak and the oppressed. At the age of just 13, Guru Hargobind raised Sri Akal Takhat Sahib,and adorned two swords, Miri and Piri, representing temporal and spiritual power. His grandfather was great Guru Hargobind sahib ji. He always encouraged the military spirit of the Sikhs, but never himself became a paart of it. He took forward the grand task of nation building initiated by Guru Hargobind. 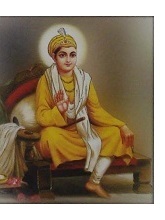 Sri Guru Harkrishan Sahib Ji was born in 1656. 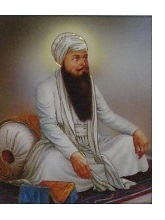 Guru Har Krishan was the youngest of the Gurus. HE was known for his knowledge and spiritual powers. The Guru gave his life serving epidemic-stricken people in Delhi. The young Guru began to attend the sufferers of all casts and creeds. Due to this he was nicknamed as Bala Pir (child prophet). 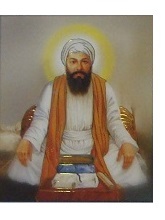 Sri Guru Tegh Bahadur Sahib Ji was born in 1621 in Amritsar. The town of Anandpur was established by him. The Guru laid down his life for the protection of the hindu religion. He faced martyrdom for the defence of the harrased hindus. So pathetic was the torture of Guru Tegh Bahadur that his body had to be cremated clandestinely while his severed head was secretly taken to Anandpur Sahib for cremation. He strongly refused to become muslim. Sri Guru Gobind Singh Sahib Ji was born in 1666 and became Guru after the martyrdom of shree Guru Tegh Bahadur ji. 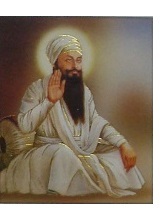 He founded the Khalsa (The Pure Ones) saint-soldiers. He administered Amrit to his Five Beloved Ones. deemed God’s. 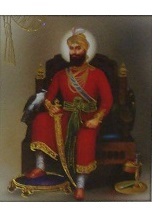 It was him who gave the Sikhs the name Singh (lion) or Kaur (princess). He fought many battles against Aurangzeb. He had lost his father, his mother and four sons to Mughal tyrann. He wrote his famous letter (the zafarnama) to Aurangzeb, who died soon after reading the letter. Soon, the rightful heir to the Mughal throne sought the Guru’s assistance in winning his kingdom. The Granth was written in Gurmukhi script and it contains the actual words by the Sikh Gurus.Guru Granth Sahib (also known as the Adi Granth) is the scripture of the Sikhs. It is Supreme Head of the Sikh religion, rather than any living person. It is also the only scripture which contains the works of writings of people of different faiths. 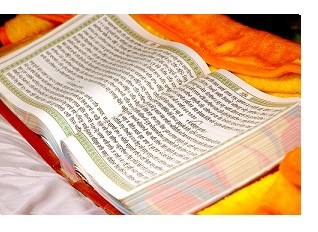 The Guru Granth Sahib contains Divine Revelations. It is bridge between us and the Word of the Master, through God’s messengers on earth. It is a scripture available to mankind, intended for everybody, everywhere.